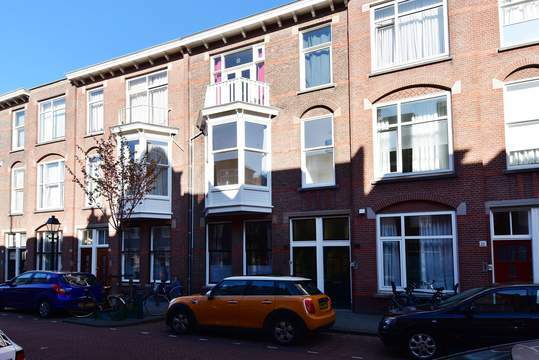 STYLISH AND SPACIOUS PARTLY FURNISHED AND RENOVATED 2 BEDROOM TOPFLOOR APARTMENT ON A VERY NICE STREET IN THE "BEZUIDENHOUT AREA". PERFECT LOCATION WITH VARIOUS PUBLIC TRANSPORT AND SHOPS AT THERESIASTRAAT WITHIN WALKING DISTANCE. 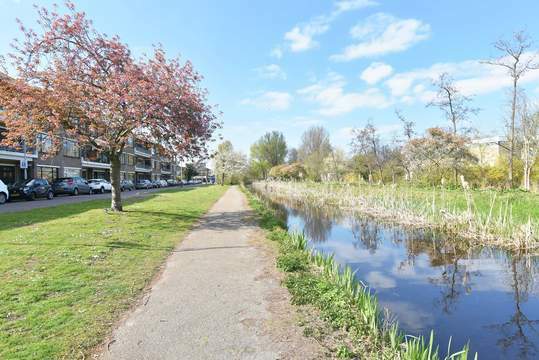 ONLY A SHORT DISTANCE TO THE HAGUE CENTER AND HIGHWAYS. This comfortable apartment has recently been renovated and is equipped with a modern kitchen with built-in appliances, a new bathroom and toilet, new floor throughout. Open staircase to the first floor, entrance apartment, hall, stairs to the second floor. Spacious landing with access to all rooms. Very large and bright living room with an half open kitchen at the back with all appliances (fridge, dishwasher, combi-oven, gas hob and extractor) with access to the balcony. 2 spacious bedrooms at the front. Modern new bathroom with shower, washbasin and towel heater. Modern toilet.